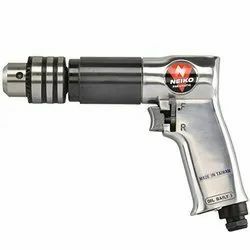 Wholesale Trader of a wide range of products which include air hydraulic riveter, in line non reversible air drill, air orbit sander pad(vaccum), heavy duty air impact wrench, air blow gun and nicon hydraulic machine vice. 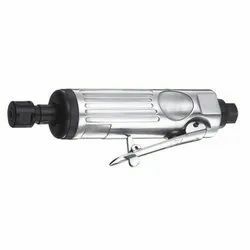 Stroke length 1" - 2"
The Kincrome Air Hydraulic Riveter 3/16” (Part No. K13270) is the perfect addition to any professional automotive workshop, car enthusiast or industrial metal fabrication trade! The Kincrome Air Hydraulic Riveter is ideal for fastening two pieces of metal, such as steel or aluminium, or other types of material of solid material together! 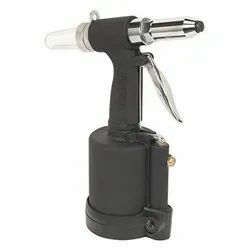 The Air Hydraulic Riveter is manufactured from a lightweight cast aluminium body for extended trouble free use, and comes with a rubber over mould handle to reduce fatigue over an extended time… perfect for trade applications! Packing a HUGE 1219kg of traction power, relieves the end user by doing all the hard work for you, saving you the pain of hand cramps, muscle damage and eliminating error, giving you total control! The Kincrome Air Hydraulic Riveter makes light work of the task at hand, effortlessly popping aluminium, steel and stainless steel rivets. One of the greatest features of the Kincrome Air Hydraulic Riveter is that is comes supplied with 4 different sized nose pieces (3/16”,1/8”, 3/32”, 5/32”), which are easily interchangeable with the supplied tools. The new Chicago Pneumatic composite drills are available now in ¼'', ⅜'' and ½'' pistol, straight (in-line) and angle variants. The range comprises 13 models, including reversible and non-reversible options. 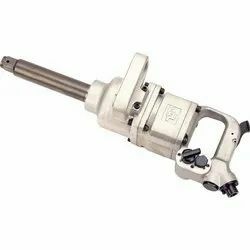 ... Powered by a 0.5HP (410W) motor, these reversible pistol drills are perfect for drilling machine. ♦ The lowest profile in the industry provides unparalleled control, maneuverability, and feedback. ♦ Vibration absorbing "comfort grips" improve feel and reduce hand fatigue. ♦ Underside Speed control combines "on-the-fly" speed adjust-ability while helping to prevent inadvertent "slip switching". 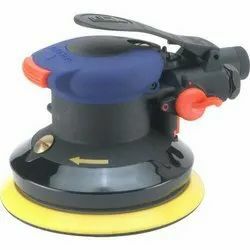 ♦ Inline dust path on vacuum models improves flow efficiency and helps prevent blocking. 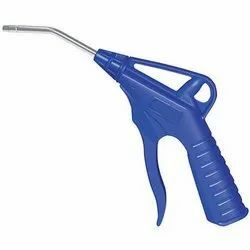 A blow gun consists of a nozzle, or tip, installed on a compressed air gun or line. 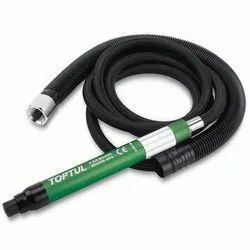 On an air gun, the nozzle serves as a quick and efficient tool for light cleaning, drying and blowing off of parts or work areas. PRECISION MACHINE VICESPioneers in the industry, we offer Precision Modular Vice, Lock Down Jaw Machine Vice - Fixed Base 160mm, Lock Down Jaw Machine Vice Fixed Base100mm, Milling Machine Vice 150mm, Precision Compact Lock Down Jaw Machine Vice and Precision Tilting & Swiveling Angle Vice 100mm from India. Our firm is successfully engaged in manufacturing and trading a varied collection of Milling And Grinding Accessories, Vmc and Cnc accessories (Vmc vices ,Collet and Collets holder), Precision Vices, Milling Machine Vice, Clamping Elements, Revolving Centers and Maganetic V blocks. Our products are able to accomplish the requirements of machining process of various Industries. These are designed using carefully selected raw material in compliance with the industry specified quality norms. 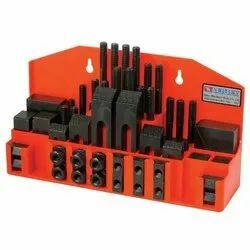 Manufactured from unbreakable alloy steel , these drill vices have been designed for accuracy, making them ideal for engineering workshops and tool rooms. .Jaw depth extra then regular drill press vices. .Fine acme thread lead screw. 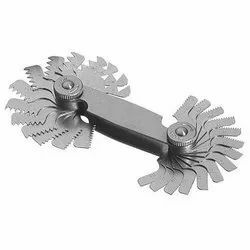 The most diverse clamping tool for the demanding woodworker: the main jaws can be adjusted conically up to 5° while an additional jaw can be swivelled up to 30° on a second axis. Without loosening the clamp, the entire piece can be swung upwards and locked into any position up to 90° and rotated 360°. Four adjustable bench dogs accommodate pieces of various shapes. The heavy grey cast iron construction holds workpieces securely and reduces vibration, even under great loads. 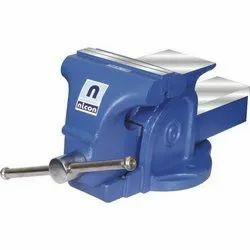 This vice is easily attached to the workbench by aligning the mounting plate flush with the bench top and tightening the support from below. Instructions included. We have gained recognition as an eminent enterprise, devotedly engaged in offering a broad range of Bench Vice Unbreakable Steel Body. 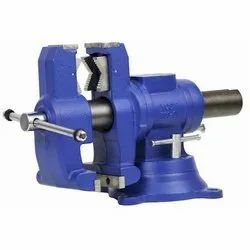 This vice is designed and manufactured at our vendors' manufacturing unit using the superb quality raw material and progressive technology in conformance with defined quality norms. Being a quality-oriented firm, we assure our clients that this product is outstanding on counts of robustness and quality. we are mainly looking for Pneumatic Nut Insert Tool, Pneumatic sand rammer,Pneumatic bench rammer and impact wrench query. 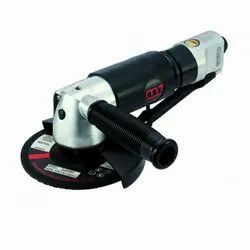 Micro design makes this air micro die grinder ideal for shaping and deburring in molds and tight spaces. Grinding and finishing of metal molds, aluminum die castings, plastic molds, cast iron molds and manufactring of dies. we are mainly looking for Pneumatic sand rammer,Pneumatic bench rammer and impact wrench query. DOM Pneumatic Tools is the preferred choice of its customers for offering an immersed collection of Heavy Duty Angle Sanders. Made available in a varied series of specifications, these sturdily constructed and extremely efficient machines are extensively popular. These are vastly appreciated for their lightweight, longer life and high corrosion resistance. Thread screw is fine acme . Dove tail Guide Ways:Thus positive locking to withstand heavy loads. Number of Employees26 to 50 PeopleAnnual TurnoverRs. 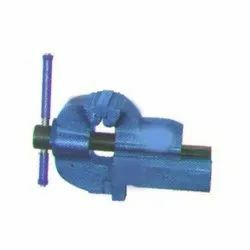 50 Lakh - 1 CroreIndiaMART Member SinceDec 2011The Industrial Clamp Devices, Grinding Accessories and allied products that we manufacture and trader cater to widespread industrial requirements of various sectors. Implementation of cutting-edge technology and use of premium raw materials define the high-quality o our products. Stringent quality check at every stage of production and hi-tech research and development make our products one of its kind in the industry. Our product range comprises five main categories under which comes varied range catering to varied industry requirements. 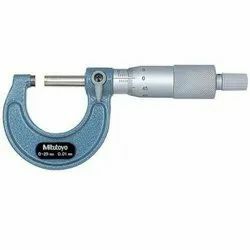 The main categories are Milling and Grinding, Clamping Elements, Lathe Tools, Ocean Measuring Instruments and Toggle Clamp.Our range is critically acclaimed for being dimensionally accurate & high performing. 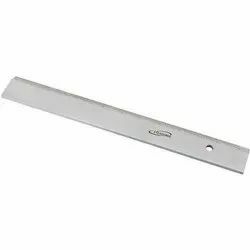 A straight edge is extremely useful for setting up machines such as planers and jointers. The Veritas anodized aluminum straight edges are wide enough to stand on edge unsupported, so you have both hands free to make precise adjustments to your tools. Each also has a hanging hole for easy storage. 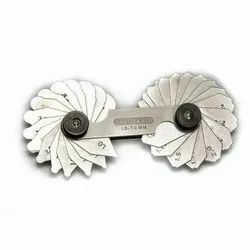 We have complete allegiance in developing highly demanded Thread Pitch Gauge. 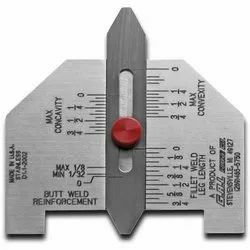 We present the widely trusted range of pitch gauges that are ideal for measuring the pitch of a screw thread. 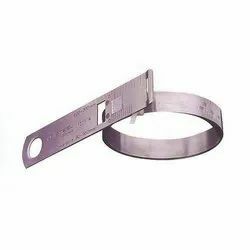 The offered gauge is widely used in piping assembly and varied manufacturing industries. 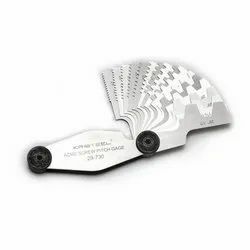 We are sourcing robust grade material from renowned sources and implementing the precision engineering methodologies to present the robust grade pitch gauge, which is accessible from us in varied diameters and tolerances at a competitive price. 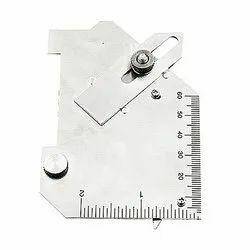 PC based circumference gauge is developed to measure cigarette diameter from 5 to 9 mm. ... Diameter of the Cigarettes is measured using Laser sensor to find out the circumference. Accuracy of measurement is to the tune of 5 micron. 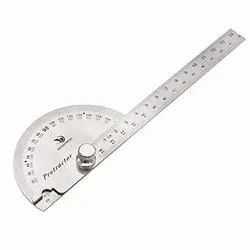 A bevel protractor is a graduated circular protractor with one pivoted arm; used for measuring or marking off angles. 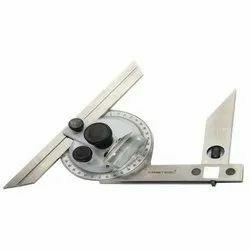 ... To measure an angle of over 90°, subtract the number of degrees as indicated on the dial from 180°, as the dial is graduatedfrom opposite zero marks to 90° each way. Able to measure tire tread depth from 0-19/32 inches and in increments of 1/32 inches, this gauge will ensure of street-worthy tread depth. The tire gaugemeasures air pressure up to 99 PSI. A color bar lights to indicate when the tireneeds replacing. The unit feature an easy-viewing extra large digital display. 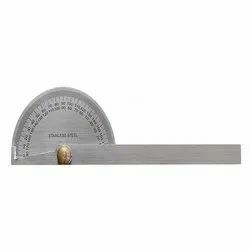 A bevel protractor is a graduated circular protractorwith one pivoted arm; used for measuring or marking off angles. 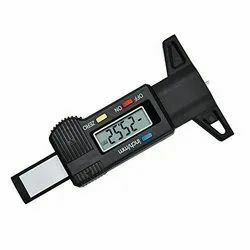 Sometimes Vernier scales are attached to give more precise readings. 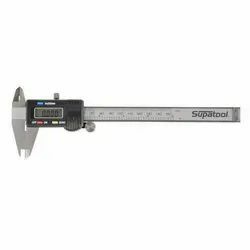 Looking for Air Tools ?